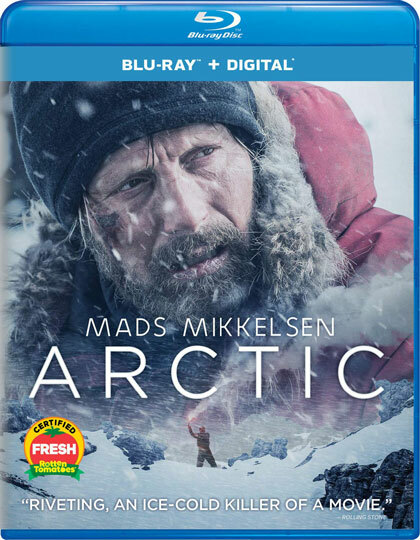 Universal Pictures’ epic adventure Arctic starring Mads Mikkelsen will be released to Blu-ray and DVD on April 30th, 2019. Unfortunately, a 4k Blu-ray edition doesn’t seem to be in the works. An early digital release of Arctic is expected either on April 9 or April 16th. On Blu-ray and Digital HD, Arctic is presented in 1080p resolution at 2.39:1 widescreen aspect ratio. The soundtrack is provided in English DTS-HD Master Audio 5.1, as well as DVS Dolby Digital 2.0 and Dolby Digital 2.0. Subtitles are offered in English SDH and Spanish. Arctic on Blu-ray can be pre-ordered from Amazon for $21.74 (List: $29.98) and the DVD for $16.99 (List: $22.98).